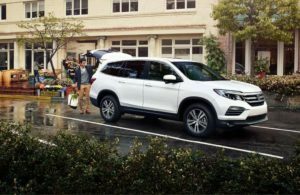 The 2018 Honda Pilot Release in Marysville is a mid-size SUV that provides passengers with plenty of comfort, cargo space, versatility and a phenomenal performance. Klein Honda is excited to share all the amazing features and updates on the 2018 Honda Pilot, so get in touch with our staff today! When looking over the 2018 Honda Pilot Release in Marysville, you can’t help but be impressed by the driver-assist technology features such as the available Honda satellite-linked navigation system that features 3-D renderings of terrain, road signs and buildings, as well as provide you with a lane guidance function. Stay connected seamlessly thanks to features like two auxiliary jacks, 12-volt outlets, five USB ports, and an available 9-inch rear entertainment system. Get three different rear views with the multi-angle rearview camera. The 2018 Honda Pilot provides drivers with advanced safety systems, such as standard ABS brakes, brake assist, and front, side and curtain airbags. Feel confident while behind the wheel thanks to the advanced safety features included with the Honda Sensing Suite. Features include forward collision warning, collision mitigation braking, adaptive cruise control, and many more. Sit inside the cabin of the 2018 Honda Pilot and you’ll find lavish features such as leather-trimmed seating, lavish second-row Captain’s chairs, and an independently-adjustable tri-zone automatic climate control for added comfort. The Pilot offers one-touch second-row seats that automatically move forward to assist the third-row passengers more easily get into the back. The Pilot offers a great deal of cargo space thanks to the 60/40 Split 2nd- and 3rd row seats. When folded down, you’ll gain 109 cu. ft. of cargo space. The 2018 Honda Pilot comes with a standard 3.5L V6 engine that is paired with a six-speed automatic transmission, and generates an impressive 280-horsepower and 262 lb-ft of torque. With the standard FWD Pilot model, you’ll have a towing capacity of 3,500 pounds, while the AWD model has a phenomenal towing capacity of 5,000 pounds when properly equipped. If you would like to schedule a test drive in the 2018 Honda Pilot Release in Marysville, contact Klein Honda by calling 877-856-2475 or visiting our dealership conveniently located at 10611 Evergreen Way in Everett, WA. Our friendly and knowledgeable sales team is available seven days a week, and look forward to helping you locate the perfect Pilot model. 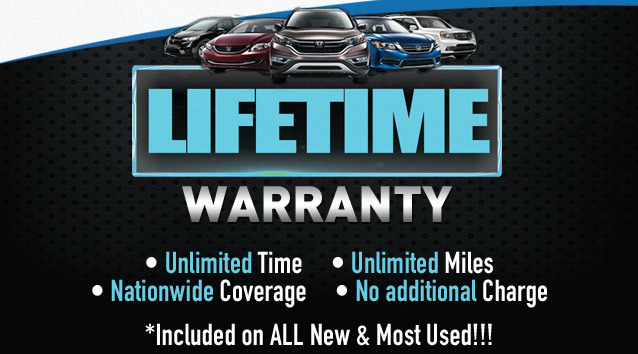 Klein Honda proudly serves the Marysville area and surrounding cities such as Everett, Lynnwood, and Snohomish.